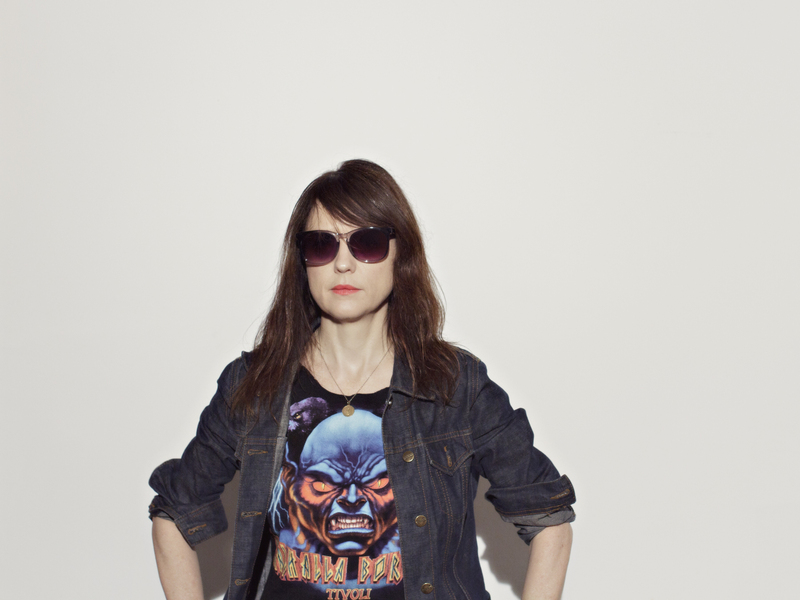 No history of American indie should be written without a chapter on Mary Timony, who managed to straddle multiple worlds—among them Boston’s college-borne rock realm and Dischord’s DC-based DIY scene—over the course of her early career. In the Boston band Helium, Timony took center stage, playing rock and roll that was anything but straightforward. Timony’s fearless approach to her craft resulted in her forging a new path for the much-discussed “woman in rock,” one where a woman could nod to her femininity without hewing to outdated ideas of womanhood, and one where someone could not just play guitar, but could play with ideas of how the instrument should be approached. Timony simultaneously deconstructs and rebuilds riffs, searching for resolution but also savoring the journey toward it; with Helium, she pushed her technique and explored unconventional compositional ideas in-depth. The chug of “Pat’s Trick” was of a piece with the brand of ‘90s rock given the “indie rock” blessing, but Timony’s swallowing-itself solo and laconic vocal elevated the track, making it a head-rush of damaged beauty. Helium’s first single, 1993’s “The American Jean,” announced a band that was as influenced by prog’s exploratory impulses as it was by punk’s willingness to speak its peace, its thrum anchored by Shawn King Devlin’s crashing drums and Brian Dunton’s loping basslines. The work that followed—the “Hole In The Ground”/“Lucy” 7-inch, the high-concept EP Pirate Prude—furthered the vision of Timony, whose guitar playing and lyrics hummed with the desire to build something new out of the world’s various rubbles, to grow a flower out of the apocalypse. In 1995 Helium released The Dirt Of Luck, a stunning collection that revealed how Timony’s songwriting prowess had grown. Its lyrics were filled with heady feminist imagery that matched the restlessness of Timony’s playing, while new bassist Ash Bowie (Polvo) gave added heft to the music’s low end; “Superball” is a broadside from a small-but-mighty being that could demolish any comers, while the late-hour drawl “Honeycomb” paints a picture of a witchy woman who’s “a roll of the dice.” “Baby’s Going Underground,” meanwhile, is the highest point on an album full of them, its thundering drums and bad-dream drones creating a song that could conceivably stretch on for eons. With 1997’s The Magic City, Timony shifted her lyrical focus to more escapist-minded concepts, and the music lightened up a bit as well. The album, co-produced by Mitch Easter, adds sitars and harpsichords to the mix; its blend of fantastic imagery and lighter textures caused Rolling Stone to proclaim that Helium had “discovered a strange new world where progressive isn’t always synonymous with pompous.” “Leon’s Space Song” buries power-pop oohs underneath its churning guitars; “Aging Astronauts” pairs Timony’s ventures into her upper register with slide guitar and keyboard filigrees, giving its anxious lyrics extra bite. Timony has struck new-millennium gold with her power trio Ex Hex, but that band’s taut tracks are enlivened by the curiosity and drive to explode expectations that characterize her work with Helium, whose body of work is crucial to understanding where indie rock has been—and where it can go.